Dr. Randy Ross is a nationally renowned consultant and speaker. 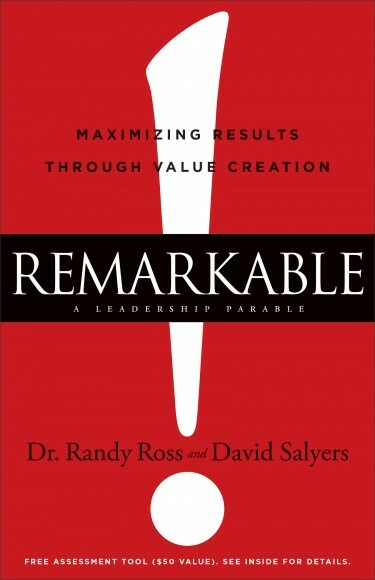 Along with David Salyers, the vice president of national, regional, and local marketing for Chick-fil-A, Inc., Dr. Ross is coauthor of Remarkable!, a book that guides readers through the building of an inspiring workplace culture. The book uses a narrative structure to explore the concept of business values – and what that concept means in the 21st century. Remarkable!, during its best moments, challenges mainstream work culture and calls into question the heart of the American workforce – or, to put it more accurately, the book poses an important question about the American workforce: Where did all the heart go? Dr. Ross sat down with us for a phone conversation about the book. What follows is a transcript of that interview, minimally edited for style and clarity. Recruiter.com: Let’s start with an overview. How would you explain this book to people? Dr. Randy Ross: Fundamentally, the book is an attempt to address issues of organizational help and employee engagement, but at the very heart, it’s about creating value. Value is something everybody talks about – bringing in and adding value, creating value – but very few people know how to do that. Organizationally, there’s basically one fundamental flaw: Most individuals in business and in life, by our very nature, are value extractors. When you go to any networking event, it becomes obvious pretty quickly that people are there to position themselves to extract value from others. The book is based upon principles from the field of axiology that will help individuals not only position themselves better in business, but also transform their personal lives. RC: Can you say a little more about axiology? What exactly is that? RR: Axiology is a strain of philosophy. It’s the study of values, a person’s value construct, and value creation. One way you can look at it is how someone values their worldview – whether their personal environment or work environment – and how they see themselves. Understanding your worldview based on your value construct is extremely important. What we do in the book is set fourth what we call the four maxims of value creation. We walk through and find in a narrative way the impact of each one of those maxims on daily life and productivity. RC: Can you explain the four maxims of value creation? RR: There are four basic maxims of value creation. The first is the maxim of creativity. Basically, it’s the idea that we’re all assigned to create value – in other words, we want to do something that is larger than ourselves, that is positive, that leaves a legacy in the world. We all have this deep desire to do good. The challenge is, we don’t always actualize that. The second maxim is the maxim of positivity. This says that authentic positivity is a byproduct of creating value for others. I love this one because it’s so counterintuitive. We’re such a goal-oriented species, but the way you get things in life is through creating value for other people. John Templeton said, “Happiness pursued eludes, but happiness given returns.” That quote kind of encapsulates this maxim, because if you want to find meaning and fulfillment in life, those are the things you can set out as goals and achieve them. 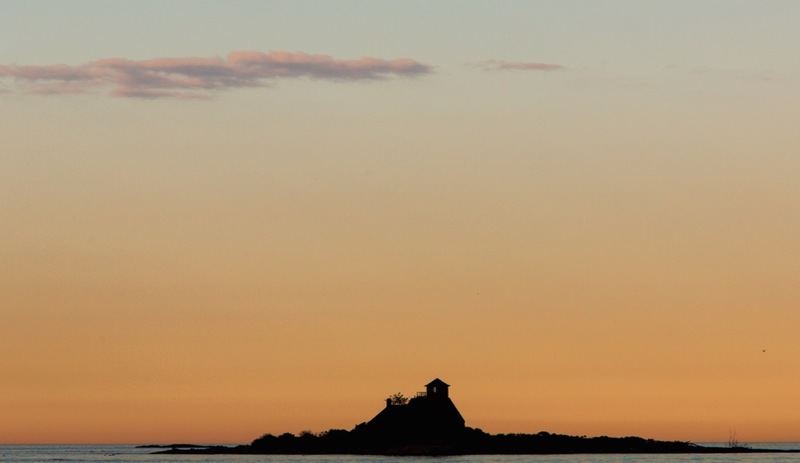 The third maxim is the maxim of sustainability. This really is about leveraging your passion and your strength to solve problems. It’s important to know what you’re good at, to focus on your strengths and not your weaknesses. But, if that’s all you’re focused on, that can still be very self-serving. The same thing is true with passion. The key is that you leverage passion and strength to solve problems. So, in order to create value, you need to find the biggest problem you can find, and then leverage your passion and strengths to solve the problem. That’s how you create value. The fourth maxim is the maxim of responsibility. In order for people to create value, they have to take ownership of the process and responsibility for the outcome. There are few organizations that actually encourage their people to create value. If you want remarkable results, you have to hire remarkable people and craft a remarkable culture. RC: In chapter five, you mention ‘valuecentricity.’ Can you say more about what that is? RR: Yeah, powerful concept, fun word. We made the word up! But, valuecentricity is the idea that when you hire people whose values are aligned with the values of the organization, you don’t have to micromanage people to do their best. You just have to let them loose to do what they do best. The most powerful piece of that is unity, which comes through valuecentricty. You don’t have to waste time motivating people when their values resonate with the values of the organization. RC: The book is presented in a narrative form, which is rare for business-related books. What motivated that decision? Why did you choose to avoid the traditional “how-to” style? RR: I think both ways can be effective, but I think a how-to book often lacks the emotional connection to be able to apply the principles well. We wanted to create an engaging story because we could do more than just engage with the intellect. It becomes visceral as well as cerebral. The story is a powerful way to do that. It touches on the heart and the head. We thought people would understand better how the principles work when applied to practical setting as opposed to buried deep in a list. RC: That’s it for us. Any final words for the readers? RR: While we wrote the book for business leaders, the thing that has been most rewarding for us is when people say, “I bought the book for business, but the principles have helped transform my personal life as well.” For us, that’s really what it’s all about. If we can help people be better spouses, better parents, or better community leaders, they’re going to bring a better self to the table. That’s really what we wanted to do. Hillary Ferguson is a New York City-based poet and writer. She is currently an MFA candidate in poetry and fiction at The New School and a coeditor of the forthcoming journal Politics and Poems. She lives a quiet, Netflix-filled life with her partner and their two dogs.